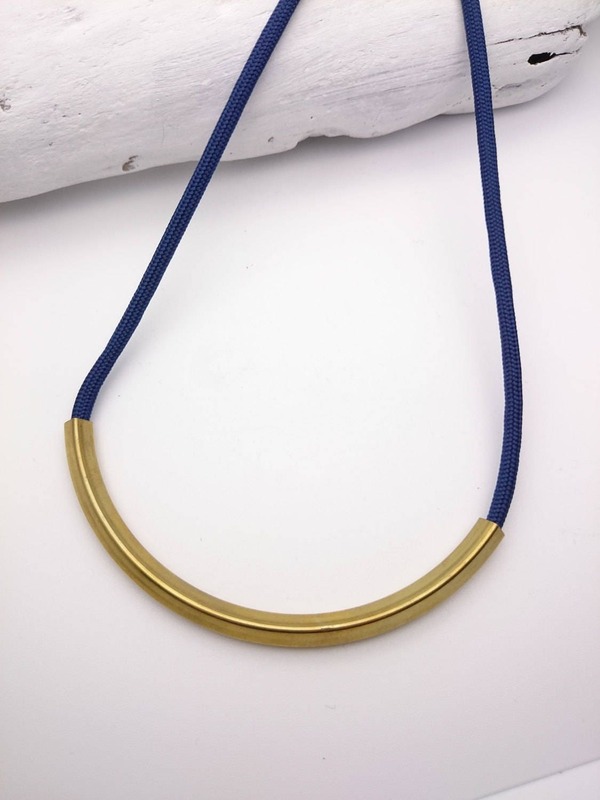 Blue Rope gold brass tube Necklace//Long Necklace cord gold tube pendant//Fabric brass necklace//Blue gold necklace//Blue cord Tube necklace. 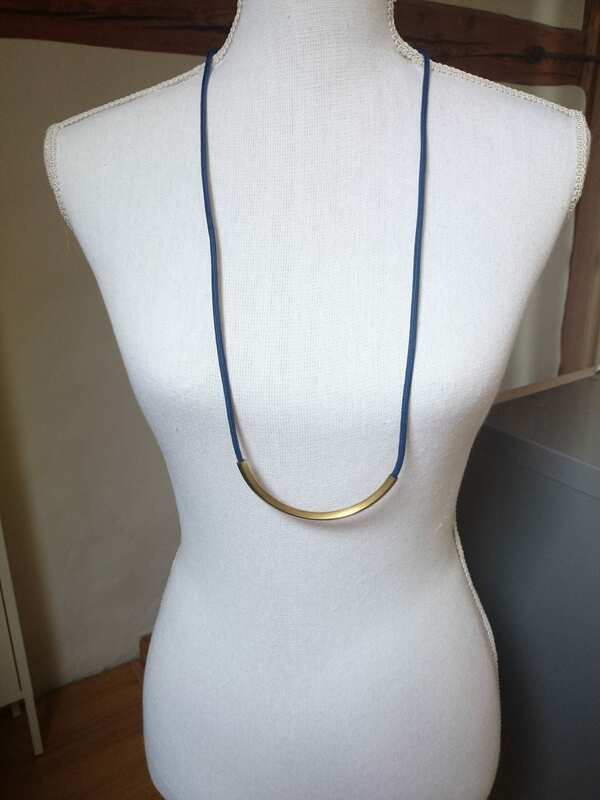 Long Necklace I made with nylon cord about 115 cm/ 45 inches long and 4 mm wide and a gold raw brass square curved tube of 95 mm/4 inches and 5 mm. 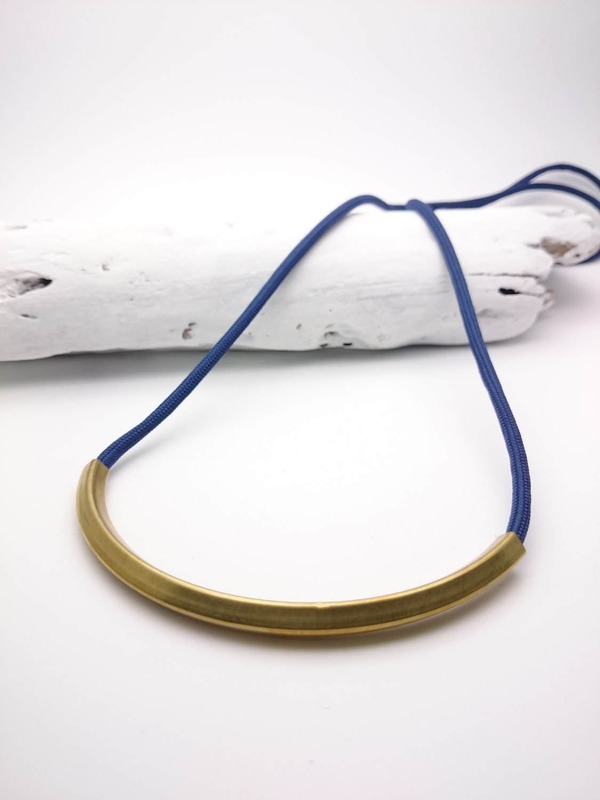 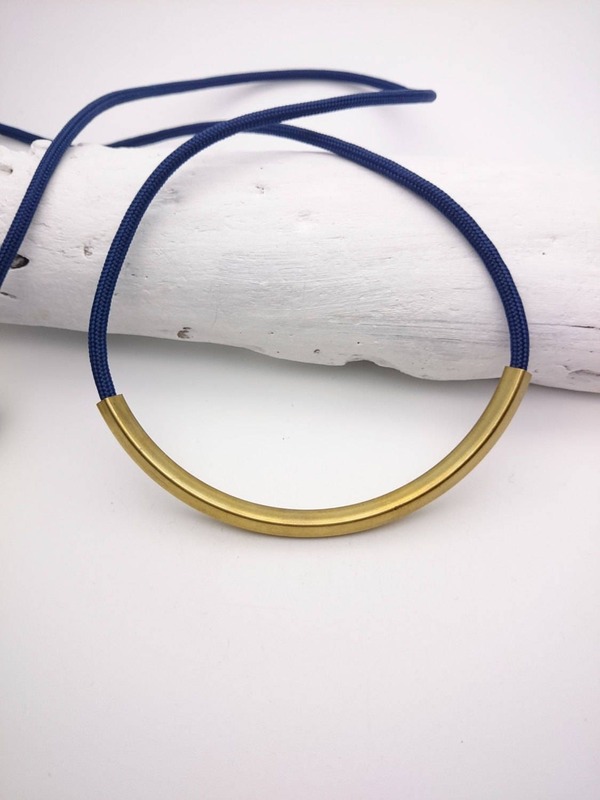 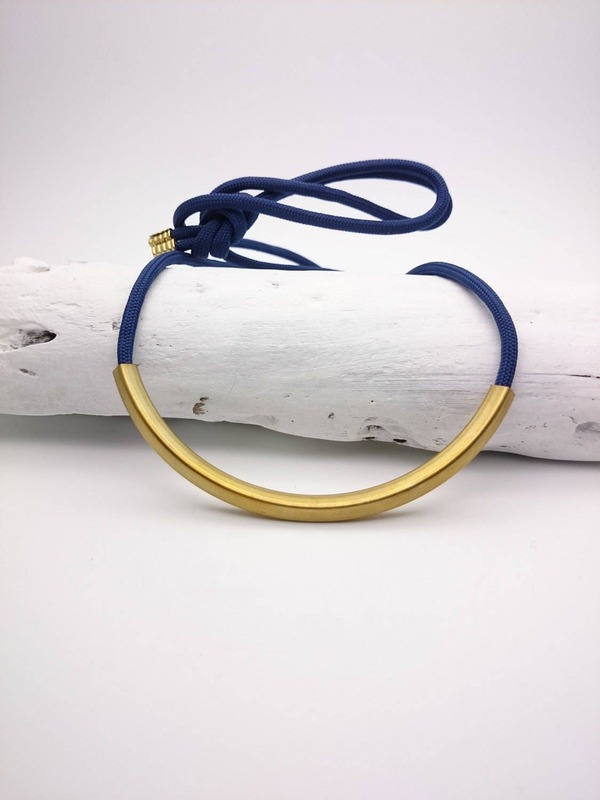 Blue rope and gold tube necklace.